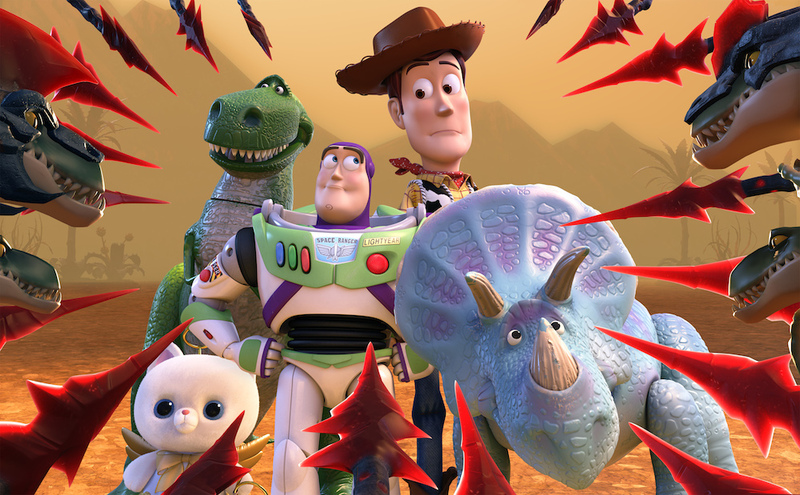 The gang is all present and accounted for in a new animated adventure which highlights, showcases and flaunts that ‘Toy Story‘ comedy, style and magnificent level of story-telling we’ve come to expect from the animated partnership. 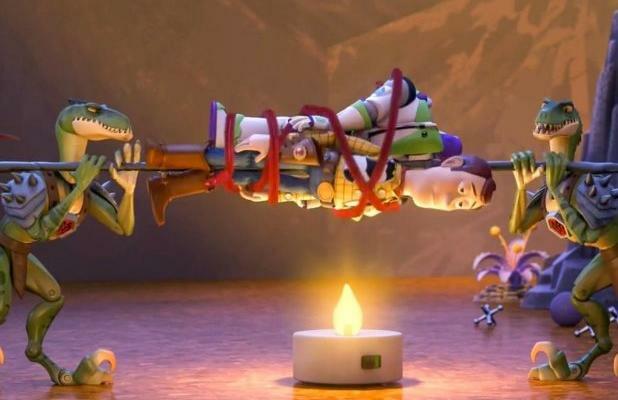 During one of Bonnie’s post-Christmas play dates, the playful crew find themselves in uncharted territory when the coolest set of action figures ever turn out to be dangerously delusional. It’s all up to Trixie, the triceratops, if the gang hopes to ever return to Bonnie’s room. 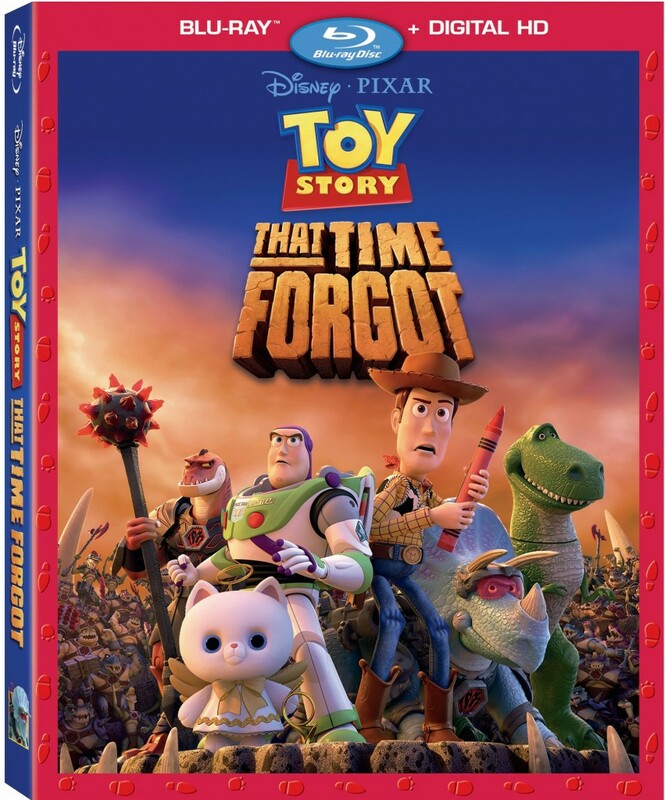 Featuring voices we’ve become more than just a little familiar with over the course of the fanatically beloved franchise like Tom Hanks, Tim Allen, Kristen Schaal, Kevin McKidd, Wallace Shawn, Timothy Dalton, Don Rickles and Joan Cusack all reprising their original roles, as if anyone could take their places! Director Steve Purcell (‘Brave‘) helmed the 22 minute adventure and the final product comes jam-packed with all new never-before-seen bonus features! This entry was posted on Friday, August 21st, 2015 at 7:18 pm	and is filed under Film, News, Television. You can follow any responses to this entry through the RSS 2.0 feed. You can skip to the end and leave a response. Pinging is currently not allowed. « ‘When Marnie Was There’ From Famed Studio Ghibli Comes To Blu-ray!!! Qui-Gon's defiance I sense in you. Need that, you do not!